In herbal medicine we use the dried, peeled roots of Kava, a shrub that is native to the Pacific Islands and is still grown prolifically today in places such as Fiji and Tonga. In its raw form the aroma of Kava is mild, and the taste is initially slight and sweet but it carries a lingering and intense after-taste which gets steadily stronger until at some point you can feel your mouth go quite numb. Kava is native to the Pacific Islands and since early times it has been highly valued in the life of the people, playing an important part in ceremonies, festivals and as a sign of good will. In olden days women were forbidden to drink Kava but young virgins would masticate (chew) the root to prepare the beverage for the men's ceremonial purposes. Kava is still extensively used in the Pacific islands as both a ritual and social experience and it can fairly be described as a mind-altering herb when taken in sufficient quantities. Whilst now primarily thought of as a nervine herb for insomnia or anxiety, in the 19th century Kava was prized for its actions on the gut and urinary systems, as the following three excerpts show. Describing the effect of doses of between 5 -60 drops of Kava extract, the great eclectic physician H Felter writes 'Piper methysticum is an appetizer and tonic to the gastro-intestinal organs, this influence being especially marked when associated with urinary disorders. The patient is pale, the urinary product inconstant in quality; the tissues, especially of feet and legs, are edematous and the patient is indisposed to exertion... such symptoms clear up quickly under this remedy, and the appetite is quickly restored. Piper methysticum augments digestion and promotes better assimilation. The glandular activity of the digestive tract is increased, natural secretion and excretion favored, constipation is overcome, and hemorrhoids, are reduced. It also exerts a marked curative influence in chronic intestinal catarrh. The best known remedial action of this drug is upon the genito-urinalt ract, in which, through presumably decreasing the blood supply by contracting the capillaries, it allays irritation with its consequent pain in urination, difficult micturition, and inflammation with discharges of mucus or muco-pus. 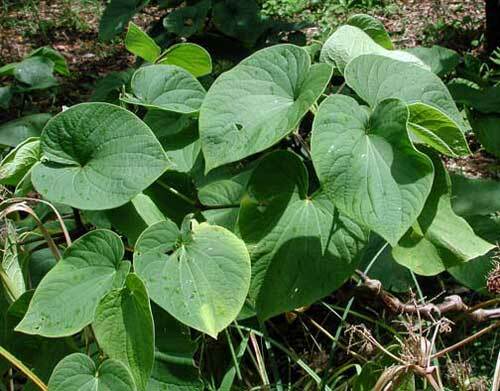 The British Herbal Pharmacopoeia (BHP) describes Kava's actions as diuretic, spasmolytic, sedative & carminative and says it is indicated for cystitis, urethritis, rheumatism & joint pains as a topical application and that it is specifically indicated for infection of the genito-urinary tract. Thomas Bartram says Kava's actions are 'antimicrobial, analgesic, antispasmodic, nerve relaxant, diuretic, stimulant, tonic' and he says “Kava is a powerful soporific for chronic insomnia, ensuring dreamless sleep with no known ill effects on rising”. 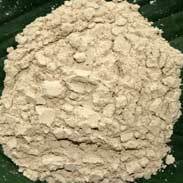 Long term consumption of Kava in high doses can cause dry, scaly skin, especially on the hands, the soles of the feet, the shins and the back. This goes away when the Kava is stopped. Doses higher than 10 grams in a day (far more than we ever use in herbal medicine) can raise liver enzymes but again, this will reduce once the herb is discontinued. 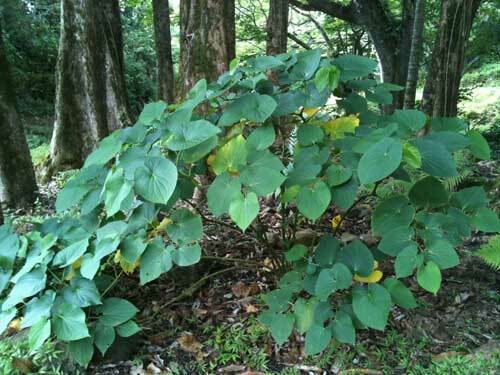 The great benefit to insomnia and anxiety to users along with the many positive clinical studies as given in the examples above in the science section saw Kava become increasingly widely used in many parts of the world in the latter part of the last century until it became extremely popular into the 1990s and into the beginning of the 21st century. Then, as demand began to outstrip supply, some essential corners of care were cut and parts of the Kava plant that should not have been put up for sale were flooded into the market. This occurrence (along with the fact of human nature that there will always be people who think that if something is good for you then it follows that 10 times the amount will be 10 times better) led to several people developing serious liver disorders with the result that, now, in many parts of the world, it is illegal to source or supply Kava. New Zealand is an exception to that, largely because of the vigorous and well-researched lobbying of a group of New Zealand herbalists to prevent it being scheduled out of reach. Anyone who would like to read a lot more detail on the subject of Kava safety and the science behind it can read the document as a PDF here. My personal comment here is that yes, of course, absolutely Kava can be a dangerous plant if used unwisely and excessively. You could say the same thing about a great many other herbs too, in fact you could say the same thing about just about anything. People have died from drinking too much water. Excessive consumption of Kava will certainly lead to harm and if people want to find a way to intoxicate or otherwise harm themselves then they will find a way which no amount of legislation will ever protect against. Used responsibly Kava is an extraordinary ally with two of the hardest experiences to deal with in this life (loss of sleep and anxiety). It is a travesty that it should have been made illegal instead of taking simple steps to educate people as to its safe use and to ensure responsibility on the part of the suppliers of the herb to the market. I have used a great deal of Kava for the people for whom it is well matched, and I have found it to be simply superb at reducing tension and improving sleep. I see that Kava's relaxing effects especially go to the neck and shoulders. You can see people's shoulder tension and neck stiffness visibly loosen when they have had a dose of Kava. I've noticed that people who carry of lot of tension in their shoulders often get a stress headache on a regular basis and that, for some, Kava can be fantastic to shift that stubborn cycle. I have also observed that the regular use of small amounts of Kava helps people to unwind their habitual tension overall and that it helps people learn how to be more relaxed. 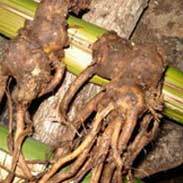 Kava root is a wonderful aid from Nature to many of us and it can be a life-changing herb if used wisely. I mentioned just above about using Kava for the people for whom it is well matched, and I wanted to say a little more about what I mean by that for anyone who is reading this who is studying herbal medicine and wants to understand how to use this great plant ally to help others. Like most herbs, Kava works much better for some than others but unlike many herbs it is a hard one to assess on oneself. 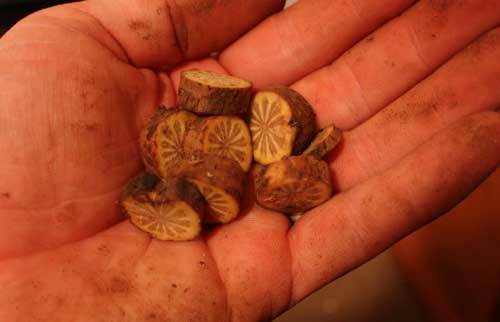 It has been a frequent practice of mine when thinking about this herb to give my patient a few drops of Kava and then to closely observe their reactions to it at the same time as gently holding their pulse before, during, and after the dose. If Kava is the right herb for that person then, even though they generally don't like the taste one bit, the effects of the herb are quite palpable. The body and the heart somehow knows what is good for it and it will show you that it wants this remedy by noticeably relaxing and it is quite common to see that, after a bit of wincing at the taste, a genuine smile comes into the person. If it is not the right herb then they don't relax and they certainly don't smile! 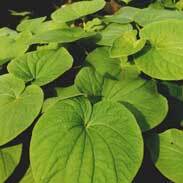 Don't worry, there are many other great herbs to choose from if Kava is not the one for them. Kava works best when you don’t bludgeon it into the body with all the eventual side effects of excess but rather use small and sustainable doses. I like to start at around 1 or 2 mls per dose for most people and see if that is enough to effect an obvious change in the physical tension of the body and I might typically give two or three such doses in a day. We can certainly increase this to higher levels if needed and I have given people as much as 10 mls or more to take at night when needed but I have found that, as with so many other herbs, more is not necessarily better. The best long term dose of Kava is the lowest one that can be clearly felt, taking more may certainly have some mind-altering effects that can be pleasant and even desirable but I would suggest that this is something to enjoy occasionally, if at all. The regular, daily use of Kava as a treatment for excess anxiety or poor sleep is much better achieved at a lower dose. 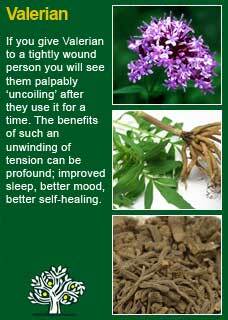 This way the body does not develop tolerance or toxicity but rather welcomes the gentle calming effect of the herb and gradually finds a way to function with less tension. 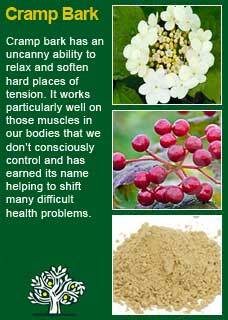 Kava combines perfectly with Cramp bark for excess physical tension and Valerian for anxiety and sleeplessness. 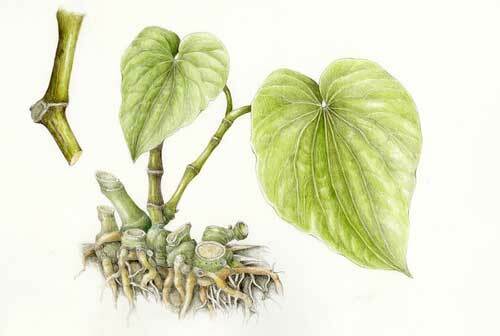 Much of the information here about the traditional uses of Kava is consistent with the model of thinking whereby one may treat problem A with plant B. There is value in this approach, especially in how it helps us pass on useful knowledge to one another, but it falls short in one vital area; and that is that people are not all cut from the same cloth! Something that works brilliantly for one person may do less for another -- why is this?